Guide to Growing Wandering Jew, Spiderwort, and Purple heart. Setcreasea are trailing half hardy perennials. 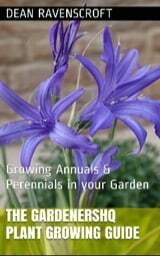 They carry attractive green or purple foliage, and bloom from spring to autumn. The flowers have three petals, and are usually purple or white. Common Names: Setcretia, Wandering Jew, Spiderwort, Purple heart. Life Cycle: Half-hardy perennial. Often grown as an annual or as a houseplant. Height: 16 to 20 inches (50—75 cm). Native: Central and North America. Flowers: Spring to autumn, dependent on species and location. Flower Details: White, pink, purple. Small. Three petals. Foliage: Evergreen. Purple or green with red or purple fringes. Oblong, elongated and pointed. Fleshy. Sow Outside: Flowers are often sterile so seed can be difficult to come by; very easy to grow from cuttings. Sowing: Cover seed. Autumn, using fresh seed. Germination time: four to six weeks at a temperature of ~70°F (21°C). Space at 12 to 18 inches (30—45 cm). Requirements and care: Full sunlight (for best leaf color) or partial shade. Good drainage. Coarse soil. Plants are drought tolerant and low maintenance. Will enjoy a little water during prolonged dry spells. Cut back plants to maintain appearance. Container grown plants should be brought indoors in the autumn before temperatures drop below 50°F (10°C), as they are very susceptible to frost. Propagate: from cuttings. 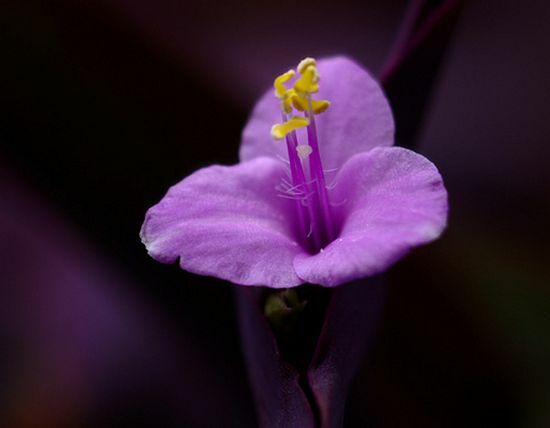 Miscellaneous: Synonymous with the Tradescantia genus. 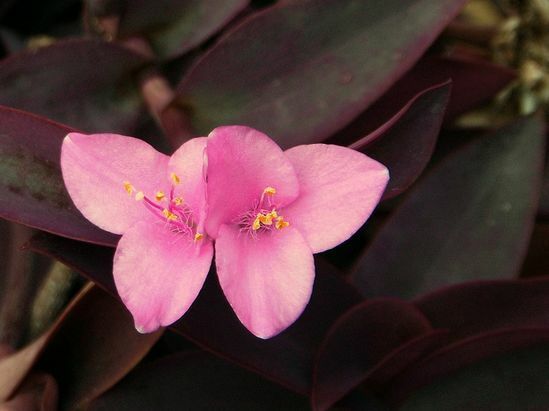 E.g., the commonly grown Setcreasea purpurea is also known as Tradescantia pallida. Scrambling plant great for use as ground-cover in warmer areas. Makes a great houseplant as its leaves filter out volatile compounds and improves air-quality. It is best to grow Setcreasea from cuttings. If you plan to grow from seed then start off outdoors. Sow the seed in the autumn using fresh seed, lightly cover once sown. The plants should be grown about 30 to 45 cm apart, and planted in a sunny area of the garden that has a dry course soil. It is possible to start off indoors, it will take about a month and a half for Setcreasea to germinate at 20 degrees centigrade. Transplant the seedlings outdoor in mid-spring. It is easy to look after Setcreasea plants, they are untidy so cut back sprawling plants. Water occasionally, once the soil has become bone dry. If you require more plants then it is best to propagate them from cuttings.